With Fright Nights well underway the 31st is fast approaching - the park have started some very early marketing for 2019. 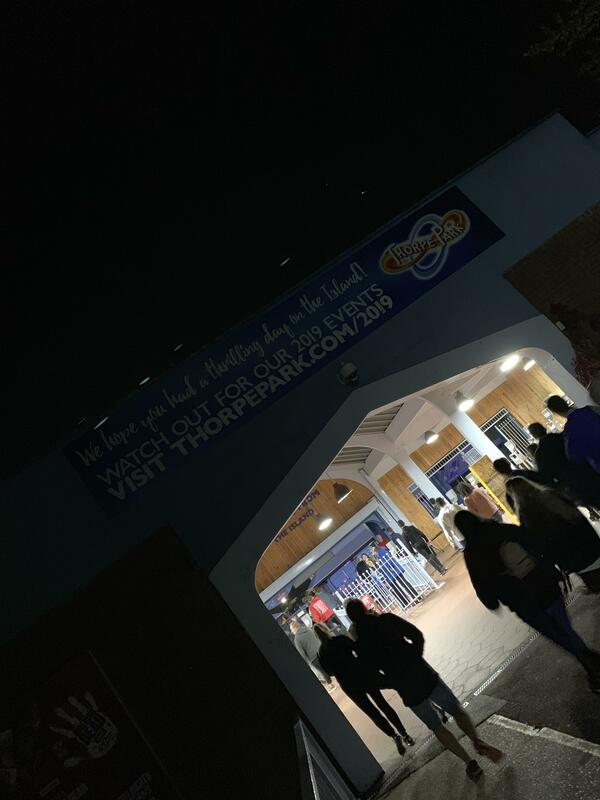 A sign has gone up over the exit and a page has been setup at https://www.thorpepark.com/2019 to sign up to be the first to hear more information on 2019. So what would you like to (realistically) see for 2019? I’m not expecting any new attractions for next season and that’s probably a good thing - the park can really focus on what it has and going from there. Clarity on Loggers Leap future - if it’s returning or not I think this really needs to be decided / communicated. General tidy up - it’s fairly obvious, but there’s bits of the park which need a good tidy up, some queue lines are looking tired and need repairing / painting, buildings particularly around Angry Birds land could do with a lick of paint too. Fixing up of theming - the park over the last few years have come on leaps and bounds in this department, Infernos has its waterfalls back, the mist is working more times than it isn’t after years of nothing, Tidal Waves sign, water tower work to a degree, the effects around The Swarm are mostly working and Saw finally saw its blades fixed, and seeing this continue would be great. Colossus could really do with seeing it’s pit cleaned out and if possible a solution to the issues it’s had with its fountain since it opened - it really looks great when it’s working, more work over at tidal to get both the Sign and Water tower fully working would be great too. Audio - again, recent times we’ve seen a lot of good progress with audio, I know some replacement tracks are controversial but I’d say the park is sounding much better now than it did 3 years ago. I’d like to see more here, Stealth and Tidal Wave have seen a lot of work on their sound systems and both sound great, would like to see this continue, Colossus / Lost City has dead speakers which would be good to hear working again, the Bridge Speakers have had better days too and could do with replacing. Wouldn’t mind The Swarm having a new IMAscore track too (hinted in the entrance track). From there would like to see general volumes abit louder, particularly at the entrance. Events - whilst the year of the walking dead / Love Island Lates have been fairly controversial on these parts I think events over the year is a great thing - even if the theme isn’t for you (Love island isn’t my thing but I loved the 10pm closes!) and more of this next year would be great. Fright Nights - obviously this is a hot subject at the moment, I hope next year we see more investment in Friht Nights, it would be great to see the big top return, along with at least one more all new indoor maze, personally am not against IP’s for mazes if it’s the right IP and is done well, but generally prefer original themes - the ideas they can come up with are usually just as good. It’s also important to learn and evolve the good parts from this year too, The Big Top show time, whilst not anywhere near as good as the Big Top maze does a great job in the dome, the roaming actors this year in Amity and the clowns are also the best I can remember. That’s my lot for what I’d like to see in 2019 - what would you like to see? A 'Thorpe Loving Care' programme, which as already noticed is kinda happening already. Removal of all SBNO rides, including Loggers Leap if it's finally actually going. Leaving it to rot is no way to treat a ride like that. A new flat ride, maybe a Gyro Swing or maybe even a Larson Looper. More events with late openings! I would be INCREDIBLY surprised if Slammer is removed over closed season, similarly I forsee no announcements regarding Loggers Leap either during closed season. Would also like to see the park smartened up (also plz fix the broken panel on the entrance screen plaza, ta) - I would love to see the DBGTROTD posters repaired (and then covered with something to prevent vandalism) as they did help sort of explain the hotch-potch of a "story line" on the ride. Fright Night wise - reduce the line up and know exactly what you are planning on having attraction wise months in advance, not weeks before the first event, because believe me it shows. In my opinion, they need to start thinking long-term and not just short attention-grabber IPs hashed onto existing attractions. 1 - Complete the necessary work to get Loggers Leap back open, aiming for Easter 2019 reopening. 2 - Either reopen Slammer, or take it down so that a replacement can be installed. No point leaving it sat there when it could be replaced, something like Loke for example would fit in well. 3 - Park entrance procedure reviewed and major changes to efficiency, they have had these issues during busy times for years and 90 minutes to gain access to the park is frankly ludicrous. 4 - Vast improvements to Fright Nights. 5 - Build on last year's late night openings but no need to open horror mazes during the summer, put the budget into ensuring ride operations and availability remain good. 6 - Install permament lighting to enable night operation on Rumba and Loggers. I think they are going the right way here - as accesso is more and more pushed hopefully more and more people can use mobile ticketing, self service machines like at the eye would help too. I've been told that merlin want to reopen loggers leap, as its their only log flum in this country, but with the current state of repair it would cost too much. So they are after an IP, to cover the costs. If its true, which I hope it is, that could be why the old town is looking a bit untidy, as it might depend on who the IP is, maybe we'll see a complete retheme of the area in the future. Id like to see a replacement for slammer, the park is looking real untidy with the SBNO rides these days. More late nights, but no silly IP's, no one really cares, we just like night time rides. I'd also like to seem them concentrate on the little things like getting all the effects working, and generally getting the park looking better, its starting to look a little tired in places, we do really need a Thorpe TLC Program. Honestly for 2019 I want the park to take a direction and stick to it..
with that direction they could of easily made DBGT a tad more family friendly but instead we had the whole 'scariest thing ever' approach again and The Walking Dead just undid all the work they did back in 2013-2015.. I think Loggers returning is a long-shot.. Its a bad state ATM and it'd probably be a huge burden to get it back operating for next year. I really hope we get a Slammer replacement but I think perhaps that could be a 2020 thing, I think a Huss Giant Frisbee or a Gerst Sky Fly would be a great replacement. Thorpe Park could take so many directions as a park but it needs to stick with it. Chessington is something of a wild adventure park and Legoland is, erm, well Lego. There are so many different ways and styles the park could develop in the coming years if they kept with it. Sure, there will always be people unsatisfied with things, but pleasing a majority is the important thing. Attractions with appropriate style, but not necessarily theming. 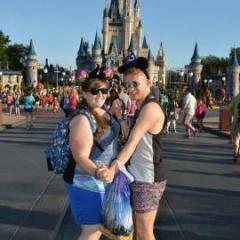 This doesn’t however mean attractions can share similar styling if in the same area of the park. The park is mainly based for Thrill seekers, but families are not forgotten either. Cedar Point for example still have areas clustered with family attractions, plus several less thrilling coasters with lower height restrictions. Different themed areas and segments with a selection of attractions. Really make the areas diverse and feature suitable attractions. Unfortunately due to space and the water table, we would never see any thing terrain like such as Taron, but if they build things upwards nothing is impossible. Lush areas, bring back some entertainment, clean up things and give it an Island feel. The only thing notbto do is make the food or operations like it either though. These are just ideas the park could develop in, which may suite it’s style. I don’t think an Efteling or Europa type of style would fit Thorpe in any way, but that’s not to say it can take some of it’s elements from either. Deep clean areas- including jetwash, repainting, rebuilding, tidying and restoring different places. I’d love to see Universal rocks replace the rockwork on Inferno like they did for Mamba, however they probably don’t have the budget and it’s likely low down on their list. Redevelop or Restore Canada Creek- I want to see Loggers either reopened or just demolished for redevelopment, the park need to now make a decision as it’s getting a little out of hand now. Continue with events- Keep the Summer lates, just drop the Love Island stuff, the park has a good vibe late at night. Fright Nights needs seriously reviewing with a potential refresh and the return of Big Top. I know they are limited with with they can do here, but I would like the Car Park to see some improvements as it can take in excess of an hour to leave in super peak days. Plus £10 to park is crazy. Yes Disney charge like $25 (around £19), but at least they keep theirs in spotless condition. 1. Set up a TLC programme. Jetwashing, repairs, painting, restoration. Relatively low cost but makes a huge difference to the presentation of the park. The sort of things that top parks worldwide do every year. 2. Motivate the staff. They deal with the guests and keep the rides going. When they are unhappy, it directly affects guest experience. A cheerful interaction can really make someone’s day but find a way to keep it going throughout the season. 3. DIGITAL TICKETS! You already have the technology, Make it happen. Reduce the strain on the ticket office. Put NFC payment on the busses. Communicate a decision on what’s happening with the Loggers Leap site. Dismantle and remove the Slammer. 5. Make Summer Nights a bigger and better event. Use the chilled Island theme to your advantage and make it a parkwide event. Live music, party lights, roaming entertainers. 6. Relaunch Fright Nights. Start planning next year’s event in November. Look at why the independent farm events are so popular and at least create an event to compete with them. Focus on Quality. Complete Overhaul of Rumba rapids so it actually has some theming and isn't boring. Loggers Leap the ride either needs to be fixed up and reinstated or replaced with a new log flume! I would personally love them to get rid of storm surge as its just such an eye sore! The first thing that caught my attention with that sign is that it looks like, again, there will be a focus on events in 2019. No mention of a new attraction. 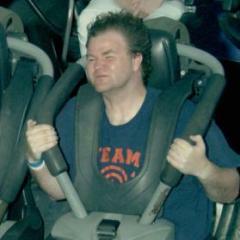 So there's a decent chance there could be nothing 'new' in terms of rides, mazes, etc for next year. If this thing was going to be opening next year, we'd have seen some work to it by now. We'd have heard something. Anyone saying, thinking, wishing, whatever that it'll open next year is living in dreamland at the moment. And it's still very much a case of 'if' it will open again, and not 'when'. We need to be realistic with expectations there. I agree they need to make a decision and stick to it though. Slammer is gone. Dead. Finished. It ain't coming back. I agree it would be nice for them to dismantle it. But, realistically, it won't be dismantled until something replaces it. What do I want for 2019? -Thorpe to start truly focusing on presentation. Having a proper budget to fix and maintain stuff, repaint things and make the park look and feel good. This shouldn't be part of an advertised 'Thorpe TLC' programme like Towers do. By all means call it that behind the scenes, but don't advertise it - just do it. -A solid event line up. It's scary to think it was 10 years ago, but in 2009 and years around then, the park had a solid events line up. You would have a big buzz for opening. Easter holidays had something. May half term had something different. Summer had something. Then you had Fright Nights. They tried that this year, but it fell flat due to the Year of TWD being advertised poorly, the conflict with that and Love Island, and scary stuff not working outside of the Halloween period in theme parks (shock horror!!!). They need to bring back a solid, varied, events line up, to give people reason to visit. Hopefully this is on the cards. -Fright Nights. Fright Nights is poor this year, but it shouldn't be. It is the park's headline event and should be their best time of year. Go for quality over quantity. Actually spent time designing mazes, putting a budget in to build them, rather than just giving actors a space and hoping they can scare people. -A vision to go forward on. Once again, we find ourselves asking "Who does Thorpe Park cater for?". They've had The Year of TWD, Love Island Lates and the scariest Fright Nights ever. Yet families still come to visit, Thorpe push families a lot. They've got out of their way to keep Timber Tug and Lumber Jump open during Fright Nights. They kept the beach open till the end of September. If Thorpe are ready to accept that families will always visit, show that in the brand, attract more in and make them welcome. Sadly there’s a better chance of me becoming divisional director next season than there is of Loggers ever reopening and Slammer being removed. The park really need a good look at what they are offering and how they can be different from other attractions. A new attraction would be nice but is somewhat unlikely. If it means giving them more time to make their next big thing special then so be it. It’s sad but no surprise that despite the theme park division doing well, the park is by far the worst performing in the group on both attendance and positive feedback. Sadly the staff don’t have enough motivation as many either leave or lose any form of initiative as a likely result of lack of morale. Oh and £15 for parking won’t improve Park incentive for anyone. Thorpe have launched details of their 2019 season pass which looks to be replacing the TP annual pass. £55 for the season with normal summer weekend / Fright Nights exclusions, they are also selling a parking pass for £21 which is decent value too but has the same exclusion dates. Dia de Muertos is the, predominantly Mexican, celebration for 'Day of the Dead'. It's a 3 day festival taking place 31st October to 2nd November for people to celebrate life and death, and reflect back on loved ones who have passed away. It's slowly creeping its way into western culture, mostly because people think it's Halloween related and an excuse to dress up vibrantly with skulls. But it's not, and if anything, shows how people don't understand the point of it. Why on earth Thorpe it would be a good idea to make reference to it, I have no idea. Most people don't know of it, don't care for it, and it has no relation to anything at Thorpe. And given how few interactions it got, it shows. Fun fact - the backwards cave section in Chiapas at Phantasialand is based off of Dia de Muertos. Hence the disco ball, flashing lights and singing skulls. The Pixar film Coco also makes strong reference of Dia De Muertos, which is largely down to the film being based in Mexico. I won’t spoil it, but it’s worth a watch. London Resort? Is this the one that's had more delays than Derren Brown's Ghost Train...? I highly doubt it'll ever come to fruition which is a shame. Alton is just as neglected as Thorpe though, they opened a massive new coaster this year yet were opening four coasters at 11am? Ludicrous. Merlin are turning Thorpe park into a resort rather than a theme park. More accommodation, more all year attractions such as the dungeon's or sealife and a fancy new entrance to house restaurants and presumably shops. The state of the parks is irrelevant, what matters to them is more people spending more. There’s a better chance of Thorpe reopening Slammer, Loggers and getting a top spin next year than there is of the mythical London Resort ever opening. Towers have their issues, but a spruce up and more TLC will help it more-so. Thorpe on the other hand suddenly seem to be in such a bad state all of a sudden and it’s difficult to say how they could turn things around in their current budgetary operation. Except Inferno. Inferno is great (apart from the lack of cleaning). 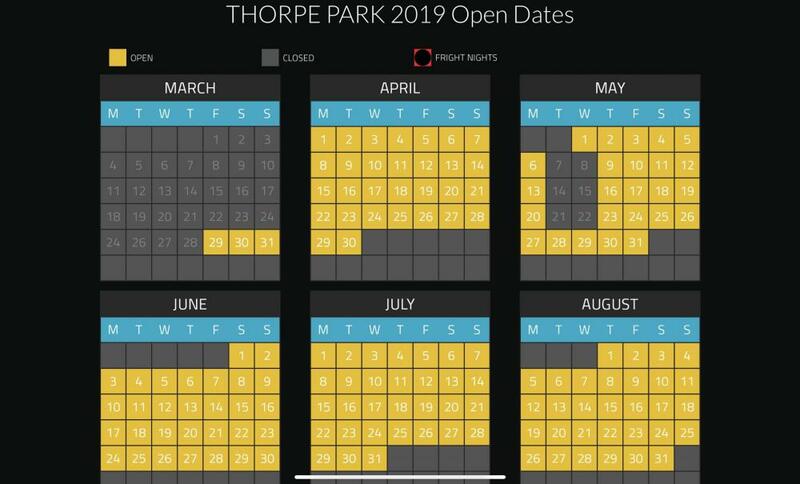 Open dates for 2019 are out, nice to see less closed days and a couple extra fright nights! 10:30am park openings year-round perhaps this time?